And the sequel is …. Darth Paper Strikes Back! Darth Vader was the strong favorite in the Origami Who poll, beating Han & Chewie, Admiral Ackbar and a Clone Trooper by thousands of votes! 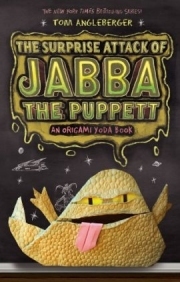 So I’m very happy to say that the majority was right this time and Darth will be coming to McQuarrie Middle School along with Dwight, Tommy, Kellen, Sara, Rhondella and just about everybody else from the first book including Origami Yoda. No purchase necessary … but you will need to fold a Darth Paper! Awesome stuff Tom. The class is folding as we speak(type). To say we are motivated and excited by the contest is definitely an understatement! Our pics are on the way……. Excellent … maybe I’ll have a special category for school classes! The instructions are here, just click on the How To Fold button…. Hey tom how do you become a superfolder? Just pleat fold the paper near the bottom before you start. Hey tom make a Cover Darth Paper instructions or sell the cover one i want it real bad. plz!!! i knew it was gona be darth vader!! Yes, you may enter as many pictures as you want. In fact…. maybe there will be a prize for the person who sends in the most (good) photos. hi tom! how do you make that helmet part so long? and and how big should the sheet of paper be? 1/4 or 1/2 or a whole sheet? Thank you so much for the instructions!!! I am a huge origami guy and Iv tried folding it with black/white origami paper and noticed that it dose not work out like that. I think I have to use just black paper am I right? i tried i using black paper also, it was very small, but the picture tom took up at the top must be zoomed in because black/white paper does not work, so heres what you do. fold the paper in half, and cut on the line, that should be a big enough peice of paper. Actually, you can fold it with black/white paper… there’s just an extra step involved. Basically, you need to fold up the bottom edge and tuck it under his chin. It helps to have the paper be a bit longer. I didn’t include that in the instructions, since I didn’t think most people would have access to black/white paper. I special ordered a stack of it from an origami company. Tom will all the people from oy 1 be in darth paper strikes back? And post a pic of the cover art for oy 2. Just about everyone from book 1 will be back, with a couple new characters. 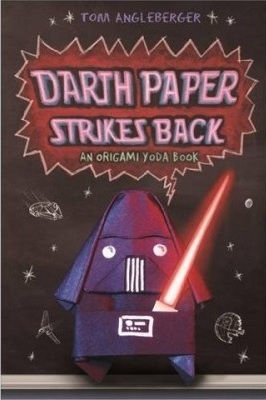 Tom maybe the cover for darth paper is origami yoda and darth paper having a light saber battle. My yoda says……. Lightsaber battle with darth paper I would like. His booty kick I will. will sara still be in it??????? It will be a while before the cover is ready…. when are you going to post the winners for the comment saying youre not mad contest tom??? Hadn’t thought of it that way…. But I like it! you should post how to make origami chewbacca, and c3po, and your next book should be about chewbacca! 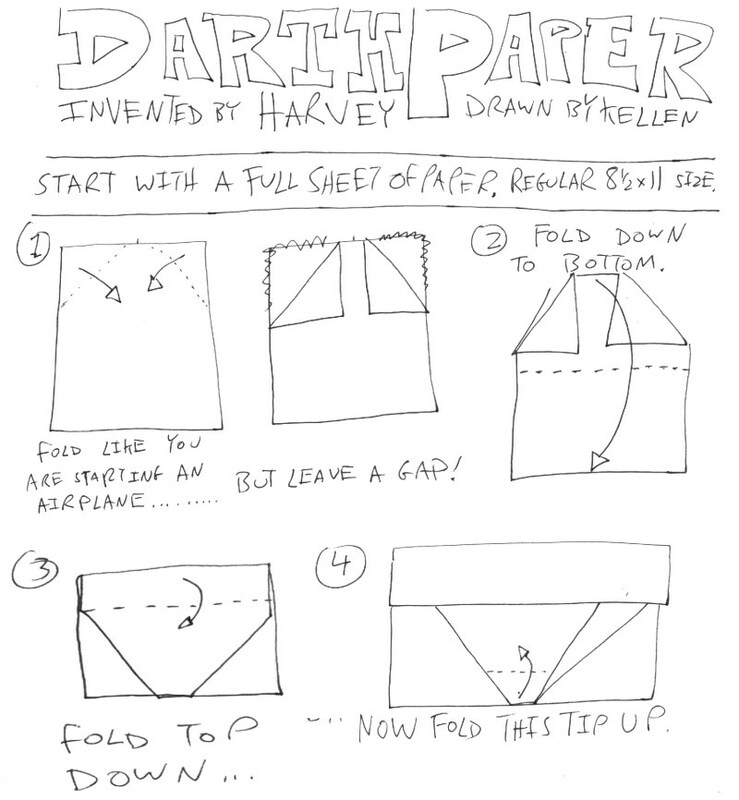 The folding instructions for darth paper say invented by Harvey so Harvey brings darth paper th school. knew it was going to be darth vadar!! Tom put my pics up soon! I check every day to see if they are up so please put my pics up soon!!!!!!!!! Tom, I know this is a little off topic but by any chance would you be able to visit the helen plum library in lombard Illinois? I would appreciate that very much. I may be making a midwest trip … if so, I’ll try to visit The Plum! Good job, Jimmy. Experimenting with the paper size is a great way to fold better origami! i always use a quarter of regular paper, because then you can get 4 modules instead of one, i also figured out how to use these instructionst o make a clone trooper, you just tuck the mouth thing backwards under itself instead of infront and at the end you draw on all the lines for features and make a paper gun and tape it on. i am in the proess of making a clone army, i have capitain rex and like 5 clone troopers already! Wow! Let’s see some pictures! I looked up the Van Jahnke Yoda and It isn’t real. Maybe it’s real, but is top secret! Hi Bobby! Yes it’s your good ol pal Austin!!! Off topic: Is there a site with instructions for the Van Jhanke Yoda? No…. I’m still waiting for someone to figure out how to fold it. Van Jahnke is a mysterious, but very cool dude! Tom I figured out how to fold a Van Jahnke Yoda! Once I’m done, I’ll send a picture!!!!!!!!! I MUST see that picture! I can’t wait! Hey Tom. When are you going t post the cover for the next book. Also, can you give us a brief summary of what the next book is about? That would be great. Summary of the next book: BIG TROUBLE! Also, will you ever tell us more about Van Jahnke? I can’t tell you any more about him. Maybe some day he’ll tell you about himself! hey tom I will send in my pics of my yoda/vader family all different sizes and colours soon but how do you make a yoda with a brown cloak? I would love to know because at school I have a shop that sells yodas and vaders and they will love it! To get a brown cloak, you need to fold Yoda froma piece of paper that is green on one side and brown on the other. You can simply glue a brown sheet to a green sheet, but it may be tricky to fold. thanks a llloooooottttt tom it helps. which side do you start with??????? If you are asking how to fold Darth Paper with black/white paper… Start white side up! zero hour is near prepair to meet your DOOM!!! 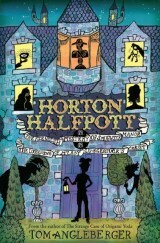 i just finished reading horton halfpott. its great and i love the ending, and im not telling anyone any secrets about it too! r sara and tommy like b-friend and g-friend in this one?????????????????? Oh man…. I told you Tater Tot was going to be trouble, right? Well, he may be trying to get Sara himself! Hehehe! Tater Tot actually did that in O.Y 1!!!!! pretty,preytty,pleeeeeeeeeeeeeeeeeeeeeeeeeeeeeeeeeeeeeeeeeeeeeeeeeeeeeeeeeeeeeeeeeeeeeeeeeeeeeeeeeeeeeeeeeeeeeeeeeeeeeeeeeeeeeeeeeeeeeeeeeeeeeeeeeeeeeeeeeeeeeeeeeeeeeeeeeeeeeeeeeeeeeeeeeeeeeeeeeeeeeeeeeeeeeeeeeeeeeeeeeeeeeeeeeeeeeeeeeeeeeeeeeeeeeeeeeeeeeeeeeeeeeeeeeeeeeeeeeeeeeeeeeeeeeeeeeeeeeeeeeeeeeeeease with a deluxe ice cream with whipped cream and a cherry on top willyou tell us???????????????????????????????????????????????????????????????????????????????????????????????????????????????????????????????????????????????????????????????????????????????????????????????????????????????????????????????????????????? [im haveing trouble with the contest tom plz send me the rules and how to enter and if you get the time dou date plz.] 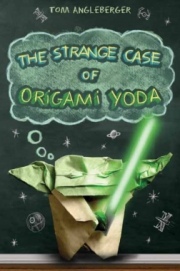 I love The Strange Case of origami yoda and im looking forward to Harton Halfpot and i cant wait for Darth Paper Strikes Back! Tom can make the stoorm trooper instructions and chewie and hans ones too! plz plz plz plz plz! When you said “How would you like to be one of the first people on THIS planet to read “Origami Yoda II: Darth Paper Strikes Back?” do you mean someone on Mars has already read it!?!?!!?!?!?!?! My son wants to know how long the contest is open until… Thanks! I haven’t set a deadline yet. Plenty of time! Awesome! Who wins the Paper Wars? i made origami yoda , darth paper , and admiral ackbar. tom maybe we should make may the fold be with you day!!!!! like may the 4th be with you the day could be 5 times every year! like February 15th may 5th July the 2nd august 1st and last but not least………october 4th!!!!!!! Great idea …. May 4 is actually the date of the big dance in the book! October 4th is my B-Day!!!!! cool is that like a clue or something!?! i even folded origami obi wan kenobi. so tom is there going to be an origami fight in the book like the first? oh and tom what does”or one canned food item mean in the book? A lot of school dances are also canned food drives, with the food given to a local food bank or homeless shelter. YES YES there is a web site to make a fumiaki kawahata paper origami yoda on wonderhowto.com just type in ‘make a fumiaki kawahata paper origami yoda’ theres 6 episodes its REALY REALY HARD I even tried to make one but I failed very badly at episode 2 you guys try to make one. I have failed, too! It’s seriously hard! 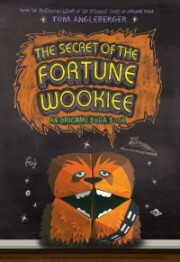 In case you didn’t know, it was Kawahata’s origami Yoda that inspired me to write the book! Hey Tom, can you make an origami rebel trooper? That would be so awesome! You mean like the guys on Hoth? That WOULD be cool! Hey, why don’t you give it a shot? tom tom! make more books after this try and figure out how you do origami wars from soniccraze and put it in your book! that would be awesome! All right. 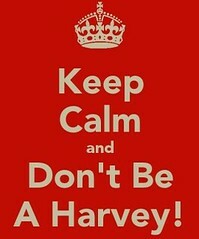 Now I know Harvey will bring it in. I think he’s still against Dwight and Origami Yoda. I seriously think Harvey will once again try to convince everyone that Dwight is just an avarage wierdo and try to destroy Origami Yoda in the duel that was never meant to be (Yoda vs Vader). Yea. If u watch all 6 Star Wars Movies, u will notice that Yoda and Vader NEVER duel. Hey tom can you PLEASE MAKE ORIGAMI C-3PO. He’s floating around here on the site somewhere…. When i said someting about a rebel trooper, i didnt mean the ones on hoth, i meant the ones on tatinive IV from a new hope. I tried making it, but i epicly failed at it. I tried making the Tantive IV, but i EPICALLY FAILED SO BADLY!!!!!!! Im the 100th coment YES! I made my own origami Vader finally! I’ve been trying to make a homemade Star Wars origami for at least a year!! Hey Tom! I finally diagrammed my origami Vader! I’ll send you the instructions in an E-mail. Look for them to be posted soon, folks! Yoda: true this is.may not win contest your vader will. P.S. I finally beat my Pokemon black game! I beat Pokemon White in less than a week. I wuz stuck on Ghetsis 4 a while though. Curse his Lv. 54 Hydregon!!! its simple vadermaster just make origami yoda and slap on a light saber! What about origami luke skywalker? hey tom what is your favorite star wars movie??? Really hard to pick…. maybe Empire Strikes Back. origami yoda: clear your mind of hatred forget this crude matter closer to unlocking the force you will be! like my friend josh! hee hee hee hee hee josh: HE HAS A POINT YOU KNOW! i know darth vaders got ya realy anoyed but remember if you kill him u will be unimployed o my yoda………. Cool!I’d like to see that! he tom to fold origami rebel troopers just start out like origami yoda except its kind of like cover yoda … o well tom im sending the innstructions to you this slueth is very constricting…. You have a Harvey personality???? Oh no!!!! a real life harvy…………………………………………………. WERE ALL GONNA DIE!!!!!!!!!!!!!!!!!!!!!!!!!!!!!!!!!!!!!!!!!!!!!!!!!!!!!!!!!!!!!!!!!!!!!!!!!!! Hi Tom, Iove the Darth vader origami, I added a cape, is there really going to be a movie or not? I’d love a movie, but it’s out of my hands. It’s a Hollywood decision, not mine. im trying to, someone oh and not to be mean or any thing but u guys are awesome on here you all have friendly personalities… and i think you all are awesome! I MADE DARTH! My mom totally ADORES him! My dad really likes him too. Sounds like you got cool parents! Tom! I made a origami yoda! And guess what. It’s my own desien! tom i made a origami yoda. And it’s my own desien. I sure would like to see it! Made my own design and i cannot figuer out the helmet! 1: origami c3po loses his memory! Good stuff! Except for Michael Jackson. No Michael Jackson in any of my books. I made a hand puppet instead of a finger puppet! who likes lego star wars? how do we fold the cover darth paper?????????? !!!!!!!!!!!!!!!!!!!!!!!!!!!!!!!!!!! cause im getting board of putting 2 fingers in the wrong places i dont know wher 2 put my fingers! its ok.it looks like vader.kind of. I made an Emporer based on these instructions! I made The Emporer but it looks like somebody coughed it up + I lost it. Maybe my Darth Paper threw it into the reactor of the Death Star. + then died. Tom, do Yoda and Darth Paper duel? Basically, the whole book is a duel … to the death! yeh is it a thumb wrestle tom? i cant wait till darth paper strikes back comes out!!! To make a cover Darth, use 8×22 paper. i cant wait for darth paper !!!!!!!!!!!!!!!!!!!!!!!!!!!!!!!!!!!!!!!!!!!!!!!!!!!!!!!!!!!!!!!!!!!!!!!!!!!!!!!!!!!!!!!!!!! p.s. go to cartoon network.com its awesome!!! Is this the one that the mystery person (I say mystery person because I don’t want to spoil it for those who haven’t read this amazing book) has or is it the one they show you how to fold in the back of the book? Please answer, I really want to know! 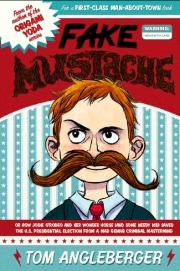 im buying the book at my school book fair…along with a lego book and a star wars the clone wars book! and are u really a girl.? I finally got to read darth paper! I waited for a month. Hey Tom, I LOVED IT! I want to get one so watch out! I made a really good darth paper! P.S. 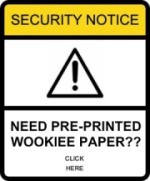 I saw Yoda at the back of Darth Paper… It had Yoda saying the end… this is not! I want to know what the next book will be! P.S.S. Pleeeeease reply! P.S.S.S. I saw some Pokemon a while back… I beat my white version in 32 hr 23 min… I totally clobbered N but got stuck on Ghetsis’ Hydreigon. Black I beat in 29 hr 51 min… This time I got stuck on N but when I finally beat him up I totally smashed Ghetsis. ummm what are you talking about? What does Pokemon have to do with anything? Oh, I forgot one thing… Can you make a movie for Origami Yoda or Darth Paper??? Why don’t you post parts on YouTube, then people from Hollywood would see it and go, “Let’s make a movie based off of THIS.” And then a movie based off the books would have been done. tom i forgot how to make a origomi chewwbacca.can you post it up on how to fold pleasssssssssssssssssssssssssssssssssssssssssssssssssssssssssssssssssssssssssssssssssssssssssss? Hey, Tom, can you make a book about Papertroopers (Clone or Stormtorrpers?) That would be AWESOME! 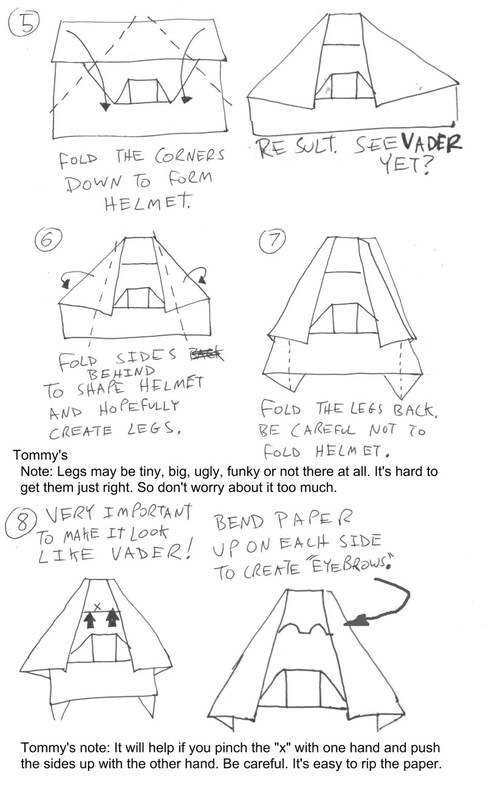 I made instructions for my darth paper, but i couldn’t have done it without your/Harvey’s design thanks. P.S. mine has a real pouch but you need experience to fold it. i cant wait for the next book!i cant wait for the next book!i cant wait for the next book!i cant wait for the next book!i cant wait for the next book!i cant wait for the next book!i cant wait for the next book!i cant wait for the next book!i cant wait for the next book!i cant wait for the next book!i cant wait for the next book! How do you make the one in the picture? Finally i finished folding him YEA!!!! Hey Tom i folded a general grivous. I have not read darth paper but my brother read it he said it was AWSOME!!!!!!!!!!!!!!!!! Hi Tom. Just want to tell you that if you turn a Darth Paper upsidedown it looks like a ship.I was wondering if you could make it look like an A-wing? Plese answer! I can’t…. but maybe you can! this is off topic but what do you do for a living? I really want to know and what is your best origami? what happend to all my coments????????? O, I forgot. I was wondering since I noticed that if you turn darth paper upsidedown it looks like a ship can you make an a wing or somthing?? please reply. Try it! And if it works send in a pic! You’ll be a superFolder! Kirk Edward Mcdougall HI I’M DWIGHTTWO! eat it, just eat it. This darth paper is a phony! Make instructions for the cover darth paper Tom! Actually, I made instructions for the real one. They’re on the website. The belt part looks just like the real one. No one cantake the wrath of darth Paper! ha ha ha!!!! no more yoda!!!! zero hour comes you meet doom!!!!!!!!!!!!!!!!!!!!!!!!!!!!!!!!!!!!!!!!!!!!!!!!!!!!!!!!!!!!!!!!!!!!!!!!!!!!!!!!!!!!!!!!!!!!!!!!!!!!!!!!!!!!!!!!!!!!!!!!!!!!!!!!!!!! Hey Tom, I figured out how to make the Darth Paper on the cover with the pouch under the helmet part!!!!!!!!!! can you post the ten-step darth paper inside the book? Tom, 1 question! Why is it that when i fold this a million times i cant get the pocket to hold the lightsaber at the bottom of it? MAKE THEM HAPPEN PLEASE! ALL OF THOSE WOULD BE AWESOME!! thanks, i figured it out before i read this but thanks anyway! …..still trying to make the cover one…. Jawa : …….. tee hee….. i mean …………. 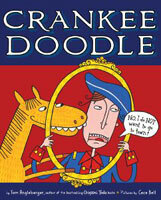 Tom, Your new book is great!!! I read it nonstop over and over, Its just great! Hmmmm…. better get somebody to help you. Maybe a librarian! yo tom i invented a.,. S.W. blaster!!! oh and i forgot can you lend me origami ideas? 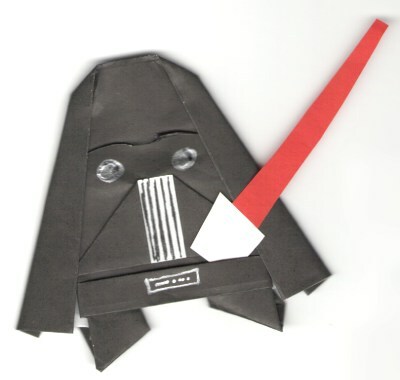 hey Tom I used harveys darth paper instructions to make a more realistic darth paper. do you want the instructions cause i want to be a super folder!!!!! Tom can you post the Darth paper form the book that Ben made? my friends keep telling me to post that. tom i think counterfeit island on poptropica is unique because you have to go to another island. do you agree? hey tom I’m using my moms email but…the part I do not like in your book is when Yoda dies. I really believe in origami Yoda. why can’t there be any michael jackson stuff in your books?! I do not like Michael Jackson…..
Hey Tom, I have an idea for Book 4: Kellen makes an origami Princess Leia, and gives awesome advice with it. But Darth Paper and Harvey try to destroy her! The 3rd book will be about Chewbacca. I will bet you $1,000,000. No joke. I have an idea for another origami seiries.The 1st book (trumpet sound):The orijin of origami yoda.2nd book:The orijin of Darth paper.And so on.So I hope you like my idea and please reply to this. hey tom could you please come to our school?if you can our school is ross elmentery in league city texas.And put the date you can come. Awesome! i also made the “Deluxe” Yoda! oh and super folder max that is a good idea so tom could you do that! Tom plz plz show instructions on how to make darth paper from the picture and cover of the book (both the same duh!) Anway plz plz plz im up for the challenge im a superfolder ! Plz PLZ! harvey is right about paperwad yoda!!!!! feer of origami wars just begining. many joiners of the dark side formed. caution, beware! Hey Tom. Is this the COVER Darth Paper? PLEASE RESPOND! Excellent! if you can make clear instructions, people will be very happy! cool book n all but y did quavandos grandma cuss?? other than that, STOOKY!! Tom, why are you talking ’bout your self in the 3rd person? Hey in case anybody doesn’t have black paper or white markers, you can get both at most arts and craft store, like a.c.moore. You may not think it makes that much of a difference, but it really looks better. I think origami yoda defeated darth paper. Also, to make the darth paper look more like the one on the cover, use an 11 1/2 ( or whatever the average length of a paper is) by 4 1/4 piece of paper and a silver (not white) painty twin marker. I recently found out silver looks much better. And to get the pouch, make a pleat at the bottom of the page before you do anything. it looks easy to turn it into a emperor. Darth paper:I look so Hansom! tom… HOW DO YOU MAKE THIS STUFF SO GOOD??!!!! i am horrible. I think I found out how to make cover darth. i cut of 1/4 of the short side and instead of folding the tip all the way to the bottom i folded it to the middle of the pleat i made for the pocket. I tried to make it but makes his legs was very hard. Were do u get ur origami paper from Tom? You can find a perfect place for Anakin’s face if you pull at the sides of the helmet. i like to draw his face like it was before anakin got burned. 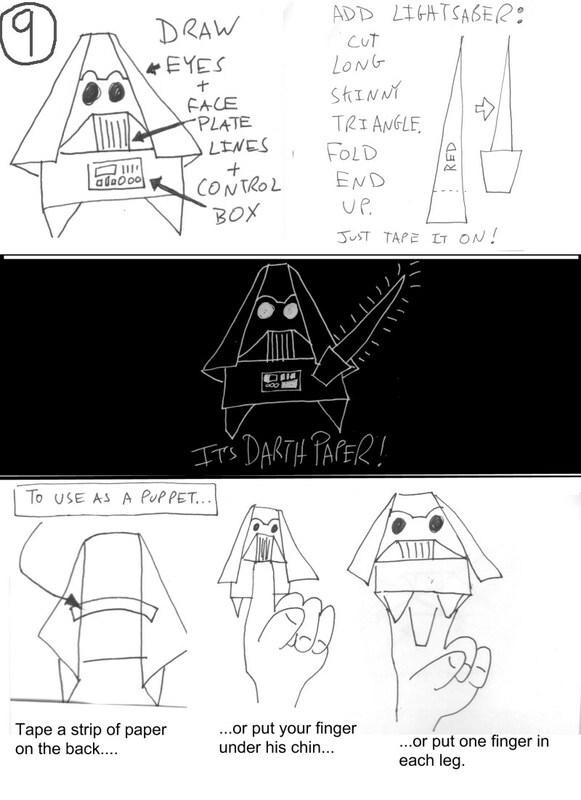 Can you make instructions for Ben’s darth paper? If it’s in the Darth Paper book, I can’t find mine. Can you put it up on the website, or if it’s already on but I can’t find it, put a link in your reply? i made up my own darth paper! its better than this one! Newbie is right. Don’t brag about how cool yours is, that’s why we can post comments! Your not Tom your a fake! Toms server is art2 d2! That is not the real vader!!!!!!!!!!!!!!! The thing that holds his lightsaber isn’t in the instructions! Yes! Finally someone writes about age of empires. tom make a origami Lando. HELP my darth paper is short and stubby :( !!!!!!!!!!!! i just made every single origami character in the new book. i want to know how to send pictures. please.